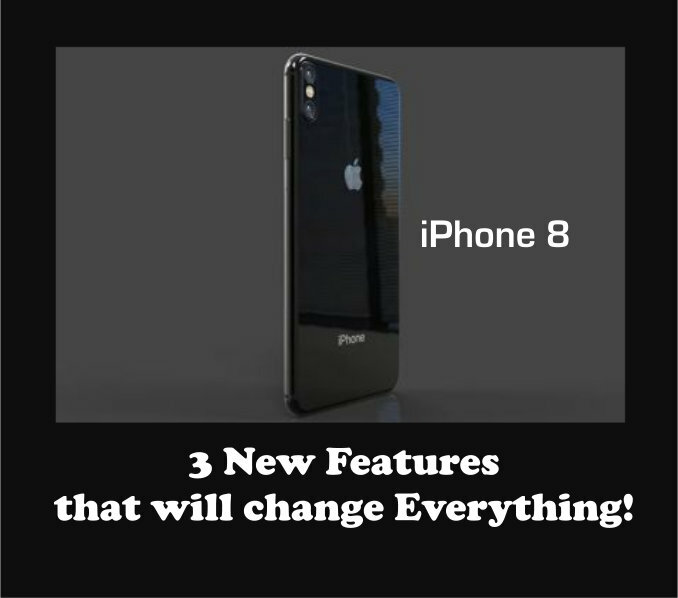 Apple's self-acclaimed marketing spiel that every time the company launches a new iPhone, it "changes everything" will be tired in September 12 iPhone 8 launch. Samsung fans tend to disagree as every new feature by the Apple Company is greeted with "we had it before". But we can’t deny it, once Apple takes an innovation, many others join in. With the Apple iPhone 8 launch, 3 new features on-board the new device are sure to be considered a change in paradigm in phone design for phone manufacturers and carriers worldwide. So, expect newer devices to copy these features in their 2018 launch. 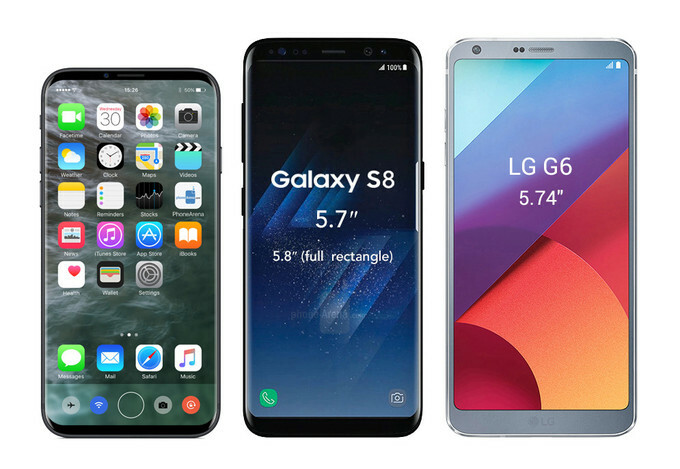 The bezel-less phone design is in vogue now with flagship phones like Galaxy 8 and Note 8, LG G6 etc donning the modern design with almost no bezels around the screen. While Android fans are already getting used to bezel-less screen design, the Apple fan will be seeing it for the very first time. 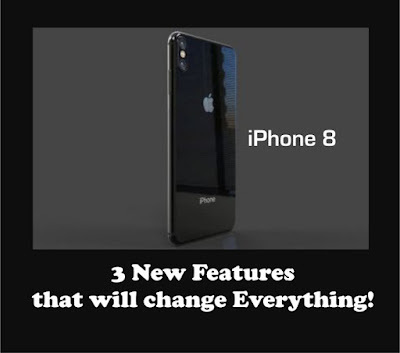 The new iPhone will be the biggest reconfiguration of the front of Apple’s smartphone since its inception a decade ago. The mechanical home button was ditched last year in favor of a fixed pad with haptic feedback, and this year Apple is removing the whole thing. The iconic outline of an iPhone, featuring two big bars of bezel at top and bottom and a round home button, is going to be no more. We’re all underestimating just how massive a change this will be, and how strong the reaction to it will be. Those of us in the know have grown blasé about bezel-less screens, while most people just aren’t yet aware of what’s coming from Apple. Whether Samsung likes it or not, September 12th will be the date when the majority of people first learn about bezel-less screens. So yes, for many people, Apple will end up having “invented” the new display form factor. Apple’s pricey new iPhone won’t be an isolated exception, but rather it will be the foam at the top of a gradually building wave of change in the mobile industry. 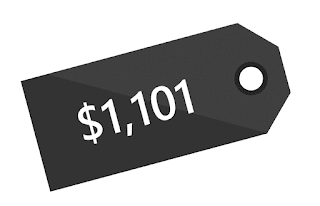 By most predictions, the new flagship iPhone will be priced somewhere in the vicinity of $1,000, probably starting just below that mark and topping out somewhere above it, subject to spec. This is going to be the biggest upward push that Apple has made with the price of its top iPhone model, though indications are that demand will still likely outstrip supply. The Galaxy Note 8 is going to hit retail shelves with price tag of $930 at roughly the same time as Apple’s new iPhones, and its own lofty price won’t look out of place when compared against the nearest Apple alternative. When it comes to bezel-free screens and more expensive smartphones, you could argue that those trends would have materialized with or without Apple’s participation. In both cases, it seems like broader technological and economic developments were going to force the market in a certain direction, and Apple’s involvement is more an accelerator than a cause. 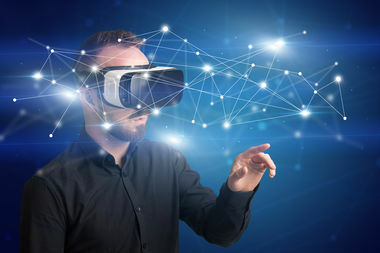 Virtual Reality (VR) takes you into another reality when you wear the glass covering the eyes, while in Augmented Reality (AR), you can hold a conversation with a pal while another reality is projected visually for both of you to see. Apple CEO Tim Cook seems to be a much bigger fan of augmented reality than virtual reality. During an interview with Good Morning America, he pointed out that, "with regard to VR, seems to be that its applications are limited since it's sort of antisocial to wrap a screen over your face, whereas AR headsets could be used day to day as you walk around and interact with others in person". ARKit apps just work with your regular iPhone or iPad camera. 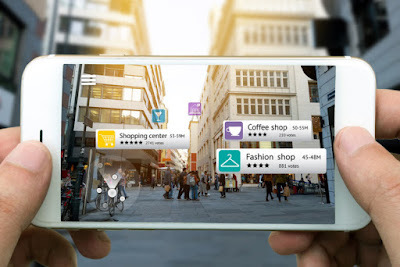 Its augmented reality done in the most unintrusive way possible and I foresee it being a runaway success because of how well it will synergize with Apple’s new bezel-less screen and because of how good the early attempts with it have been.